Flooring is square one when it comes to home decor. Properly installed and well maintained flooring can last for decades, and has a tremendous impact on the look and feel of a room. Depending on usage and traffic, you may choose, hardwood, tile, laminate, carpet, or even some unconventional flooring. Chicago handyman flooring technicians have more than 20 years experience installing all kinds of flooring. Chicago handyman’s Carpet Installation services are world class. Not only do we have several years of experience when it comes to carpeting, We know that a job done right is a job that lasts. We care about our customers and our reputation, when quality matters, go with Chicago Handyman Carpet Installation services. We can walk you through your options and fit the style of carpeting that’s best for you. 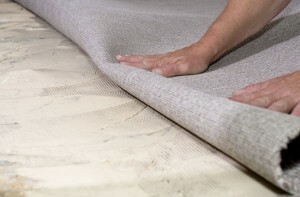 Whether a high traffic area that will need a carpeting solution that will have a long life and conceal stains, or a plush luxurious carpeting with extra padding for the highest in comfort, Chicago Handyman has your carpeting needs in mind. There is nothing quite like the shine of hardwood floors. 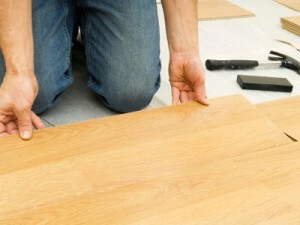 Chicago handyman can install or repair your hardwood flooring. In many cases you can bring hardwood floors back to life. Hardwood floor refinishing is one of our many specialties. Hardwood floors in Chicago are pretty common due to the ease of cleaning when it comes to the harsh conditions tracked in the house from our winters. In many cases we can match or replicate wood finishes to match colors already established. Contact us for more information. Chicago Handyman loves tile. There really is nothing like tile flooring – elegance, charm, with tile floors, you’ve got yourself something. From diamond patterns, to brick, to mosaic, we can tile a floor like nobody’s business. 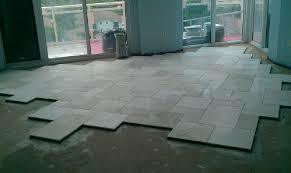 Often imitated, never duplicated, Chicago Handyman floor tiling service is the best in the business. Do you need help finding what type of tile would be right for you? Our Design sepcialist can meet with you in your home to help you choose colors and materials that will create the look you are seeking. Sometimes a laminate floor is the best option. We can help you with that too. Laminate flooring can have the luxurious look of hardwood with out the material or labor expense. Repairs are also a breeze making this durable flooring choice a great option that is widely used through out chicagoland.